The Awesome Foundation : Torchlight Shakespeare: Fools in Your Park! 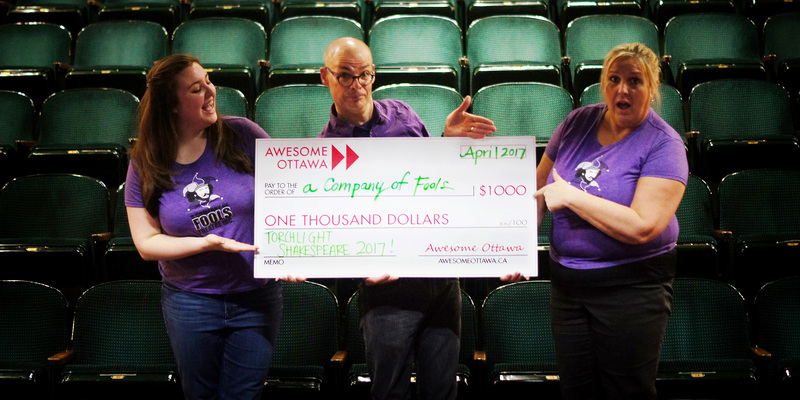 April’s Awesome Ottawa award goes to Alexandra Isenor and A Company of Fools to bring Shakespeare’s A Midsummer Night's Dream to parks in the rural areas around Ottawa this summer. If you’d like to support this summer’s production, a fundraiser is taking place this Saturday, April 22nd — tickets are available at fools.ca. We’re told there will be trivia, “bardaoke,” dancing, a silent auction, food, games, prizes, and more. Alexandra is a local arts manager, director, actor, and creator, and the General Manager of A Company of Fools.